Gov. 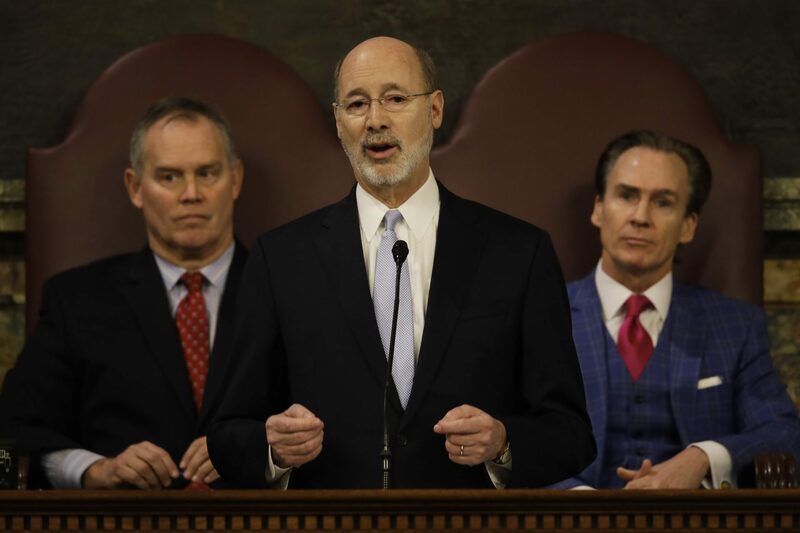 Tom Wolf delivers a previous budget address to a joint session of the Pennsylvania House and Senate. Former Speaker of the House of Representatives, Rep. Mike Turzai, R-Allegheny, is at left, and former Lt. Gov. Michael Stack is at right. Gov. Tom Wolf’s giving his budget address today. The governor’s budget proposal gets a lot of attention — but in truth, it amounts to a wish-list given the Legislature’s lead role in creating the state budget. PA Post’s Ed Mahon has this analysis on evaluating how realistic/ambitious Wolf’s ideas are. The Associated Press has this succinct bulletin about the five asks to expect from Wolf ahead of the address. Meanwhile, state lawmakers are hoping for a second consecutive no/low-drama budget negotiation, but they acknowledge last year’s process was relatively smooth — at least in part — because it transpired during a re-election year. 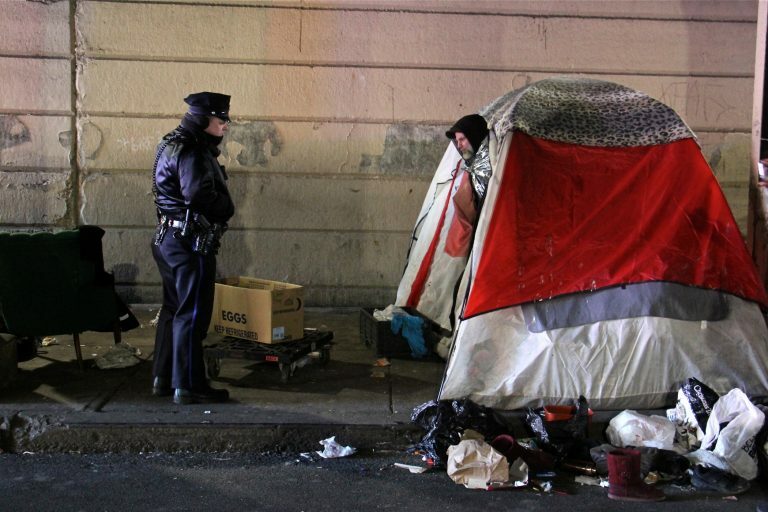 A Philadelphia police officer moves from tent to tent telling residents of the Emerald Street encampment that it’s time to go. It took three hours to clear “Kensington’s most notorious homeless encampment, … the culmination of nine months of work,” WHYY’s Joel Wolfram writes, and “though the tent cities that have plagued the neighborhood for nearly two years are gone now, more than 100 people who congregated there are unaccounted for, and many more are still living on the street in the grip of opioid addiction.” Here’s his full story. State Public Utility Commission officials say there’s a “communication gap” between schools and emergency responders over plans for evacuating students in the event of a Mariner East pipeline leak. They’re asking Sunoco and school and county emergency officials to address it by creating a plan, including drills. Jon Hurdle has the story for StateImpact Pennsylvania. Some medical professionals are scrambling to prevent mass medical liability lawsuits in Pennsylvania. They’re worried that a pending state Supreme Court ruling would ultimately allow lawsuits to be filed in counties outside the one where the alleged malpractice happened. Transforming Health’s Brett Sholtis breaks down the divisive issue in this story.